Every year or so, a horror film comes out of the festival circuit full of praise from critics, and screams from those in attendance. You’re Next, It Follows, The Babadook and The VVitch were a few of the scarefests that came loaded with buzz when they were eventually unleashed upon theatergoers. Sometimes, the film will live up to the hype and become adored by critics and audience members alike, while other times, the fan response fails to match the critical consensus. The latest horror film to come with much anticipation is Hereditary. 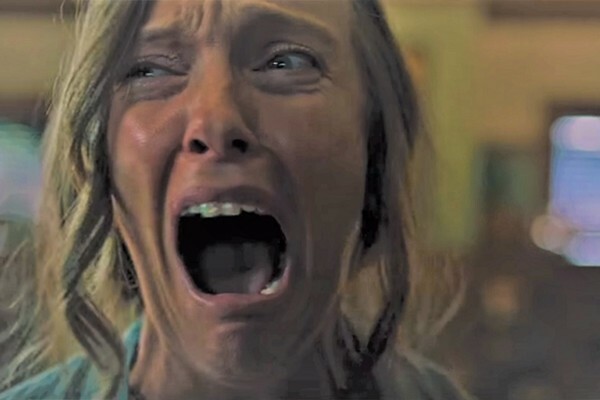 Starring Toni Collette and Gabriel Byrne, and the first feature from writer/directer, Ari Aster, the movie debuted earlier this year at Sundance, and people were lauding it with superlatives, like the USA Today, calling it, “the most insane horror movie in years”. 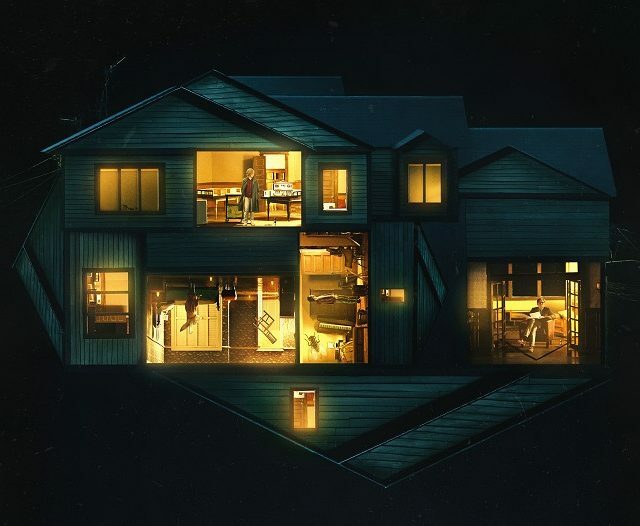 Now that the movie has had its run in the theater, and horror fans, including this Gore4er, have had the chance to check it out, did Hereditary live up to its very lofty expectations? 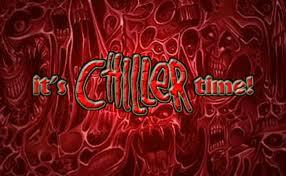 Read on…..if you dare. The movie opens with an obituary. The Graham family have lost their grandmother to the great beyond. This hits her daughter, Annie (Toni Collette), an artist who creates realistic looking dioramas, particularly hard, even though her relationship with her overbearing mother was often fraught with difficulty. 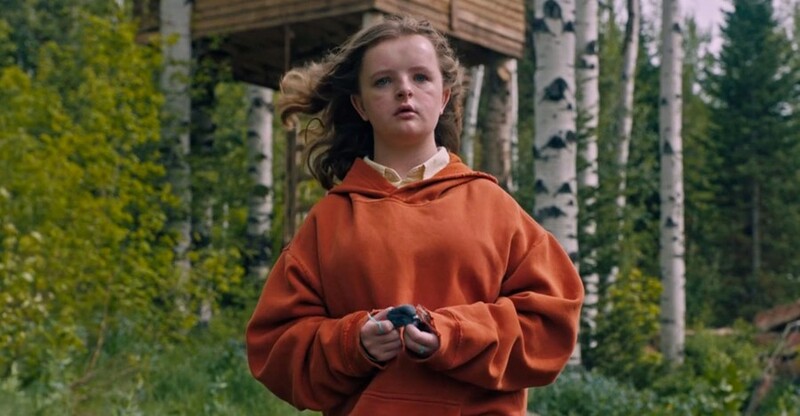 Also affected, in other ways, is the grandmother’s particular favorite, 13-year old Charlie (Milly Shapiro). Now Charlie is a bit of an oddball, in appearance and behavior, and her older brother, Peter (Alex Wolff), is sometimes forced to look after her. And trying his best to lend support when he can, is their father, Steve (Gabriel Byrne). When it’s learned that the grandmother’s grave has been desecrated, and she begins appearing to different family members, Annie seeks solace and help from outside sources. But the horror has only begun for the family as they must learn to cope with unbearable grief along with apparent supernatural forces threatening to tear them apart. Hereditary comes from A24, the independent American studio that gave us such acclaimed genre offerings, Ex Machina, The Green Room, the aforementioned, The VVitch, along with 2016’s Best Picture, after a bit of a mix-up, Moonlight, and last year’s delightful Lady Bird and The Disaster Artist. A24 must be commended for releasing such original, offbeat fare, especially in an age where giant mega-blockbuster sequels and franchises are the norm. With Hereditary, they once again give us something unusual, and in this case, rather unsettling. This is certainly an accomplished work by writer/director, Aster, with sweeping camera movements and slow pans and push-ins, along with a creepy soundtrack full of low, bass notes and eerie sounds that build to disturbing crescendos. The film doesn’t rely on jump scares, but rather increasing levels of tension and dread, one almost unbearable instance that follows a shocking bit of violence. The talented cast certainly gives their all. Toni Collette (The Sixth Sense) runs the gamut of emotions, coping with overpowering despair while dealing with her shattered family and the supernatural occurrences that manifest themselves. Yet, despite her valiant efforts, her performance seems a bit over-the-top and never quite rings true. If you can’t buy into the lead actor’s execution, it detracts from the story being told. Gabriel (The Usual Suspects) Byrne plays the skeptic here, and it’s similar to so many others where they refuse to open their mind just the slightest to try to understand and appease their loved one’s desperate pleas for help. The teens fare much better. Alex Wolff (Jumanji: Welcome to the Jungle) is excellent as Peter, trying to be a normal teenager with school, etc. but fighting impossible odds as his family life unravels. In a film so encompassed by death and gloom, he also provides the few moments of much welcomed levity, usually in the form of texts sent to and from friends. Milly Shapiro, in her first feature, is really the selling point of the movie, with her unconventional appearance, looking almost like an old woman, and the strange clicking noises that she makes. There is definitely something off about her character, from her fascination with death to how she doesn’t even flinch when a bird hits a window during class. It’s an impressive film debut for the young actress. 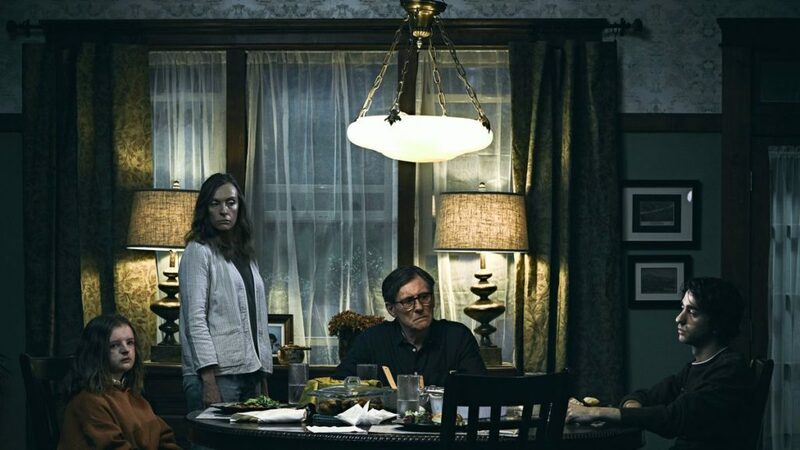 Despite the effective sense of foreboding gloom that pervades the film, Hereditary ultimately fails to resonate the way a good horror film should. While it tackles how difficult it is for a family to come to terms with unspeakable grief, the movie is much more akin to Ordinary People than say, The Exorcist or The Conjuring. The horror aspect, with regards to malevolent spirits, seances and the like, is nothing we haven’t seen before in countless other films. If it all built to a horrifying and satisfying conclusion, then maybe it would have meant something, but this Gore4er was left cold by the time the end credits rolled. Hereditary appears similar to The VVitch (read our review here), another A24 release universally acclaimed by critics, yet polarizing, if not outright disliked among audiences. Despite high hopes going into the film, this Gore4er falls into the latter category and doesn’t quite get what all the fuss was about. I thought it was interesting… It had a few loop holes but it was enjoyable. Yes, there were some interesting elements to the movie, and some questionable ones that were difficult to get into without giving away certain specific plot developments. Like, keep better track of what your kids are up to and where they’re going!